(NaturalNews) A new study from the FBI that says active shooter incidents have risen dramatically since 2000 doesn't focus on one aspect of such shootings: that the presence of armed private citizens can be the biggest factor in ending mass shooting sprees, saving countless lives by ending such frightening incidents more quickly. The FBI says the study -- the first of its kind -- was done merely to "provide our law enforcement partners--normally the first responders on the scene of these dangerous and fast-moving events--with data that will help them to better prepare for and respond to these incidents, saving more lives and keeping themselves safer in the process," according to a bureau press release. But given the anti-gun nature of the Obama Administration -- and given the recommendations made by the FBI in response to its findings -- one can only speculate why the effect of the Second Amendment was downplayed in the study's final report, even though the information was there. What about good guys with guns? In 21 of the 45 incidents where law enforcement had to engage the shooter to end the threat, nine officers were killed and 28 were wounded. Also, the study found, "The largest percentage of incidents--45.6 percent--took place in a commercial environment (73 incidents), followed by 24.3 percent that took place in an educational environment (39 incidents). The remaining incidents occurred at the other location types specified in the study--open spaces, military and other government properties, residential properties, houses of worship, and health care facilities." Obviously, if you're confronting someone who is armed, it is much better to be armed (and trained in the use of that firearm) yourself; this would save many more lives than waiting on police. Because so many of these incidents unfold so rapidly, Special Agent Katherine Schweit--who heads the FBI's Active Shooter Initiative--says she hopes the study "demonstrates the need not only for enhanced preparation on the part of law enforcement and other first responders, but also for civilians to be engaged in discussions and training on decisions they'd have to make in an active shooter situation." This writer has taken active shooter training as a member of the military; since even military personnel are not permitted to carry weapons on post, the training involved primarily four things: taking cover, moving out of the area where the shooting is taking place, calling for help (when you can) and -- only as a last resort -- trying to take the shooter out. "Citizens need to be ready and think about what they might have to do," Schweit went on to say. 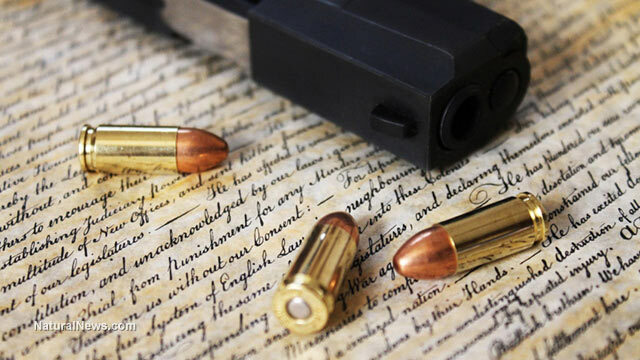 But getting a federal law enforcement agency to admit that a vital right in the Constitution could actually make its officers and those of civilian law enforcement agencies safer, as well as society in general, is virtually impossible.